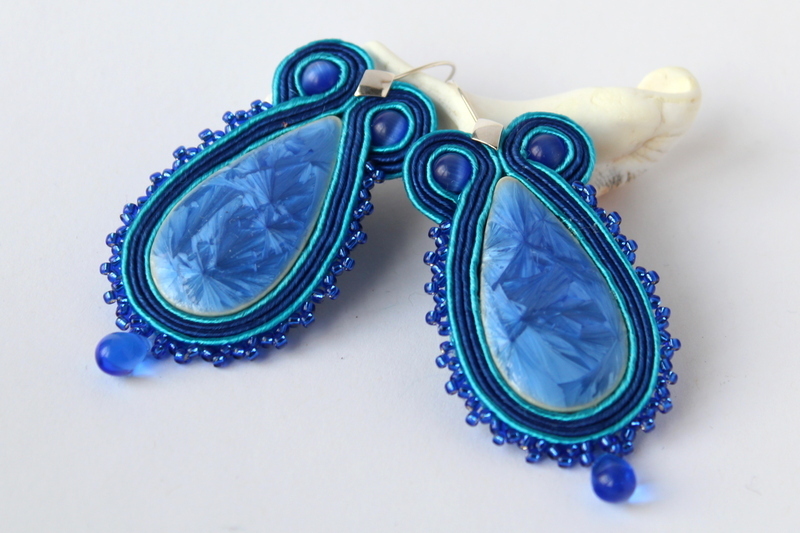 My newest experiment – I started to learn new techniques and one of them is soutache jewelry making. 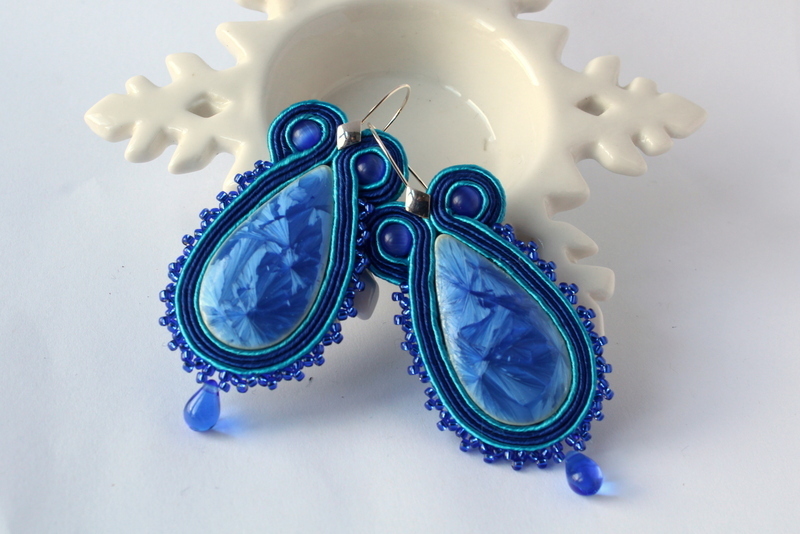 These earrings are made of ceramic and glass beads and soutache cord in beautiful shades of blue. Everything has been carefully sewn together, making sure that the sewing is invisible and the construction is sturdy. These are one-side earrings, there’s a piece of matching felt glued on the reverse side to hide any loose ends. The center-piece is a large ceramic cabochon. 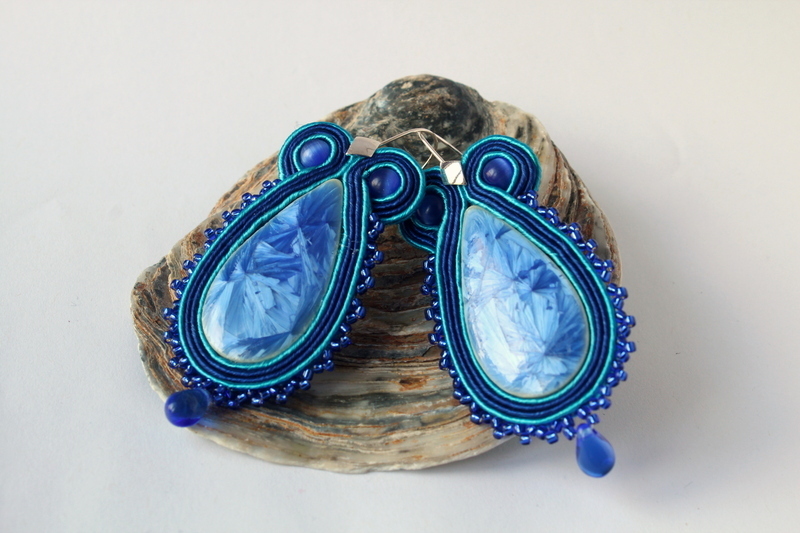 They are framed in matching blue soutache cords. 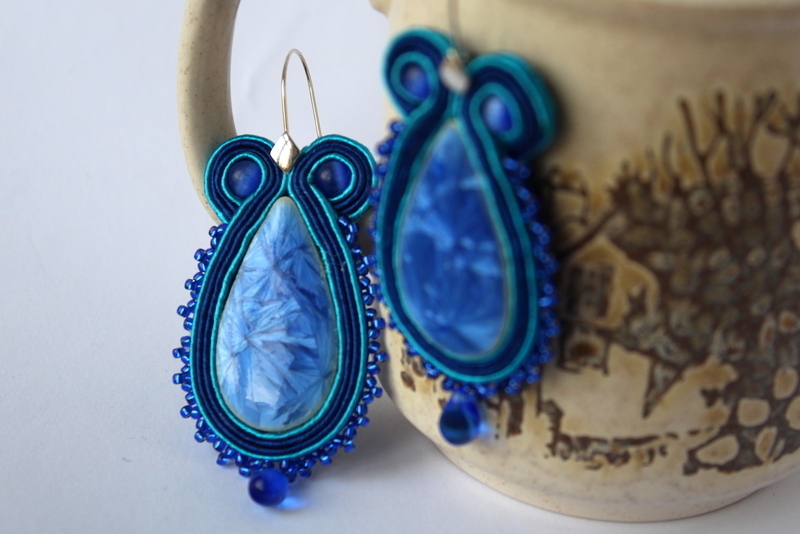 Carefully decorated with glass seed beads.